BitPay has announced that it has secured a funding round of $510,000 from outside investors. The investors include Barry Silbert, founder of SecondMarket, a trading platform used by institutional investors to exchange shares in companies that have not gone public; Jimmy Furland, also of SecondMarket; Shakil Khan, founder of the online music service Spotify; and the Bitcoin community’s own Roger Ver, responsible for Memory Dealers and the Bitcoin Store, as well as others in the technology sector. BitPay is Bitcoin’s leading payment processor, providing merchants with ready-made software tools that they can use to accept Bitcoin on their website or brick-and-mortar store, as well as an option that allows merchants to accept bitcoins without ever handling them themselves; instead, Bitpay automatically converts the bitcoins to the merchant’s local currency and deposits into the merchant’s bank account. BitPay is far from the first company to secure outside investment. 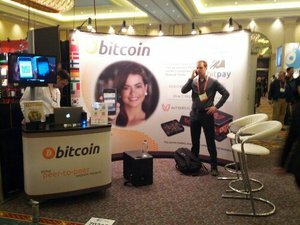 The Bitcoin exchange MtGox was outright sold to Tibanne Co in March 2011, and within a year two more major Bitcoin businesses secured funding. BitInstant, a company that offers services that help make it easier and faster to buy bitcoins whether through bank transfer or cash deposit, secured an undisclosed sum in exchange for 15% of their company from Roger Ver in late 2011. In early 2012, Bitcoinica, the now defunct margin trading service that allowed users to buy or short bitcoins at high leverage, acquired an amount estimated to be in the low hundreds of thousands of dollars from an investor named Tihan Seale. Also, since May 2011 a number of small companies, mostly mining ventures but also notably SatoshiDice, have raised capital from a large number of mostly anonymous investors over trading platforms like the Global Bitcoin Stock Exchange and MPEX. More interesting, however, is funding raised from established technology investors. In April 2012, Silicon Valley venture capital firm Draper Associates and Seattle angel investor Geoff Entress invested $500,000 in Coinlab, a company whose main projects so far have been an attempt to establish Bitcoin mining on gaming computers as an alternate way to pay for video games, and the Give-a-Goat charity mining software. In September, Coinbase, a company that has raised over $600000 from well-known investors including the “seed accelerator” Y Combinator and Reddit co-founder Alexis Ohanian. Now, this elite group of businesses has been joined by the largest payment processor in the Bitcoin economy, with over 2100 merchants (up from 1300 as recently as November) and $3 million in transactions over the course of last year. BitPay intends to use the money to move their headquarters to Atlanta and hire five new employees to work on developing new features for their platform. “Atlanta is a great hub for financial technology companies,” BitPay founder Tony Gallippi writes, “Over 90 of them. It’s a great place to recruit and retain top talent, plus tap into the banking and financial infrastructure there.” Nearly 250,000 workers in the Atlanta Metropolitan Area work in finance-related occupations, out of a total population of 5.3 million, and 40,000 of them are employed specifically in the payment processing industry. Atlanta is also ranked by various indices to be among the top 40 financial hubs in the world. Thus, this decision will allow BitPay to tap into the talent of developers who are already familiar with payment processing issues, as well as give them the potential for much greater visibility in the payment processing community. BitPay’s headquarters are currently headquartered in the much less impressive Orlando, Florida. Gallippi writes that WordPress’s decision to accept Bitcoin in November was a major factor pushing investors to support his company. Since WordPress started accepting Bitcoin (incidentally, using BitPay’s platform to process payments), the company’s merchant base has grown from 1,300 to over 2,100, and is expected to continue to grow as Bitcoin and BitPay receive more news coverage in the mainstream media. BitPay also currently has little in the way of direct competition. Coinbase, a company wishing to themselves become the “Paypal of Bitcoin“, does offer a merchant solution, but the core focus of their product is sending money person-to-person and creating an easy-to-use wallet service, so a marketing effort to attract merchants to themselves is unlikely. WalletBit is a more direct competitor, but so far their marketing efforts have focused heavily on Canada and Europe, while BitPay supports a more US-centric clientele. The distinction between the two can be clearly seen from their pricing policies; if a merchant wants their Bitcoin earnings automatically converted into local currency, BitPay offers a rate of 2.69% in the US and 3.99% in Canada, Mexico and the EU, while WalletBit offers a consistent 2.75% rate everywhere, although with a minimum fee of about $15 per transfer, soon to be reduced to about $5 in Canada. Of course, a significant number of merchants also build their own platform for accepting Bitcoin, an option which should not be discounted for large businesses or unique businesses that need to integrate Bitcoin in some way that extends beyond simply using it to accept payments, but in the market of average merchants looking to start accepting the currency, within the US BitPay enjoys a near-monopoly. In two years that may change, just like leading Bitcoin exchange MtGox has seen its market share slowly drop from over 90% at its peak in 2011 to about 67% now. For now, however, BitPay is comfortably well ahead of any competition, and still has a long way to go in attracting new merchants. 2012 saw the company go from almost nothing to over two thousand merchants. Ten thousand by the end of 2013 seems quite likely.